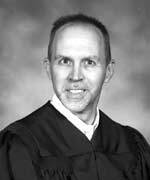 Cabot Circuit Court Judge Philip Whiteaker announced last month that he will be a candidate for District 1, Position 2 of the Arkansas Court of Appeals. That seat is currently held by Judge Raymond Abramson, who was appointed to that position last year by Governor Mike Bebee. Because Judge Abramson is serving by appointment, he is unable to run for the seat in the upcoming election. Earlier this year, Abramson announced his candidacy for the Arkansas Supreme Court seat that is currently held by Justice Jim Gunter. Justice Gunter announced in May of this year that he will not seek re-election for that position when his term ends in 2012.